Reginald Blaylock has been appointed vice president for student affairs, effective June 1, 2015. Blaylock joins SJSU from San Diego State University, where for the last 27 years he has supported and cultivated student success. Since 2013, he has served as SDSU’s associate vice president for student services, leading 10 departments within the Division of Student Affairs, including those that provide educational opportunity programs and ethnic affairs; health, wellness and disability services; international student and study abroad services, as well as many other programs. Beyond his leadership responsibilities, Blaylock was instrumentally involved in numerous SDSU strategic initiatives. These included the Aztec Scholars Initiative, which works to recruit and retain underrepresented African American and American Indian students, as well as efforts to implement physical and campus culture improvements to better serve those with disabilities within SDSU’s campus community. 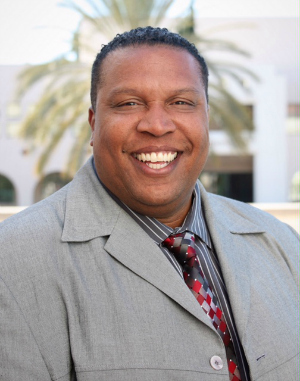 Previously, Blaylock served in leadership roles in student recruitment, school relations, outreach and enrollment management, and intercollegiate athletics (student-athlete support services at SDSU are housed within Student Affairs). Blaylock holds a doctorate in educational leadership with an emphasis in postsecondary education, as well as bachelor’s and master’s degree in public administration, all from SDSU.